While data and analytics have proliferated HR and finance, the benefits are limited without effective collaboration and the ability to derive value, finds a study. A short-term mindset and entrenched cultural habits are the biggest barriers to collaboration between HR and finance teams according to a new study from Oracle. In order to successfully unlock the value from data and help their organizations adapt to the changing nature of the global talent market, HR teams need to rethink analytics technology, skills and processes to improve collaboration with finance and drive competitive advantage, finds the study. “While HR and finance departments traditionally have not worked together closely, that needs to change in order for organizations to create a competitive advantage in today’s evolving market and talent economy,” said Donald Anderson, Director, Organization & Talent Development, Oracle. 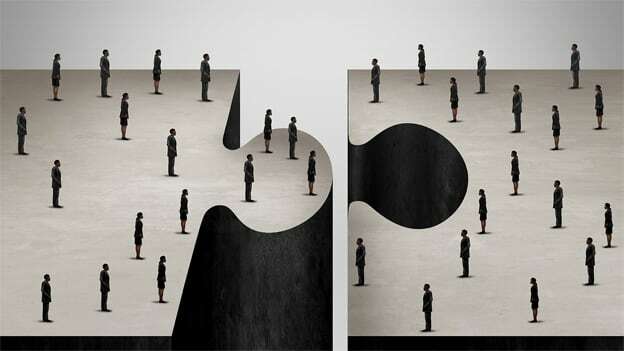 95 percent of HR and finance professionals plan to make data-driven collaboration a priority in 2019, said the study. To act on data in a meaningful way, HR and finance teams will need to acquire new skills as well. While data and analytics have proliferated HR and finance, the benefits are limited without effective collaboration and the ability to derive value. In order to reap the rewards, both departments must overcome short-termism, breakthrough culture clashes and shrink the skillset gap. The biggest barrier to collaboration between HR and finance is a short-term mindset, with 71 percent saying their teams focus on quarters rather than future strategic direction. Culture clashes between departments was another top challenge. The majority (80 percent) of organizations believe HR and finance teams are already helping them make better data-driven decisions. But, their teams will need to acquire new skills, but with an increased focus on collaboration, organizations will be able to gain even bigger business benefits. 88 percent of respondents believe HR and finance collaboration will improve business performance; 76 percent believe it will enhance organization agility. HR and finance professionals are looking to emerging technologies like artificial intelligence (AI) to help drive business results. While a quarter (25 percent) of survey respondents are primarily using AI to identify at-risk talent and model their talent pipeline (22 percent), they are rarely using AI to forecast performance (18 percent) or find top talent (15 percent). Over the next year, 71 percent of survey respondents plan to use AI to predict high performing candidates in recruitment and source best-fit candidates with resume analysis (70 percent). “Seeing that so many HR professionals are planning to invest heavily in AI over the next year is promising. It means we’ll begin to see more strategic results and businesses competing on an entirely new level to find the right talent,” says said Tom Davenport, Babson professor, and analytics expert.